We are closed on Bank Holiday Monday 27th August. We are proud to be a sponsor for Team Pinnacle from The Royal Grammar School Worcester. They have secured a place in the Land Rover 4x4 in schools world finals. This years event will be held in Abu Dhabi. 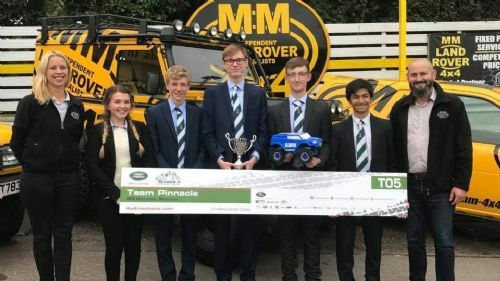 They have designed and built a radio controlled 4x4 to take on competition from all over the world and we will be supporting them all the way! We had a great time hosting our Macmillan Cancer Support Coffee Morning on Friday 29th September. Thanks to all our lovely customers for joining us. We managed to raise a fantastic £150! !